Mushroom description: One, possibly Amanita muscaria. Medium: Oil on wood, 94x131 cm. Reference: Wasson, G and V. Mushrooms, Russia, and History. New York: Pantheon Books. 1957. Medium: Oil on panel, 67 x 51 cm. Reference: Krigeskorte, W. Arcimboldo. Cologne. 1988. Baldung Grien, Hans. German. Gmund 1484/85 – Strasbourg 1545. Medium: Oil on limewood, 48 x 32,5 cm. Location: Ermitage Museum, St. Petersburg, Russia. Medium: Oil on oak, 50x80 cm. Reference:. Niederländ. Malereien des 15. und 16. Jh. in sowjetischen Museen. Leningrad. 1957. Location: Gemaeldegalerie der Akademie der bildenden Künste, Vienna. Reference:. Wasson, G. and V. Mushrooms, Russia, and History. New York: Pantheon Books. 1957. Note: Princeton University Art Museum has one similar to the above. Mentioned in Wasson, G. and V. Mushrooms, Russia, and History. New York: Pantheon Books. 1957. Mushroom description: Two mushrooms and a cluster of vaguely discernible mushrooms to the right of tree stump. Russulas, boletes? 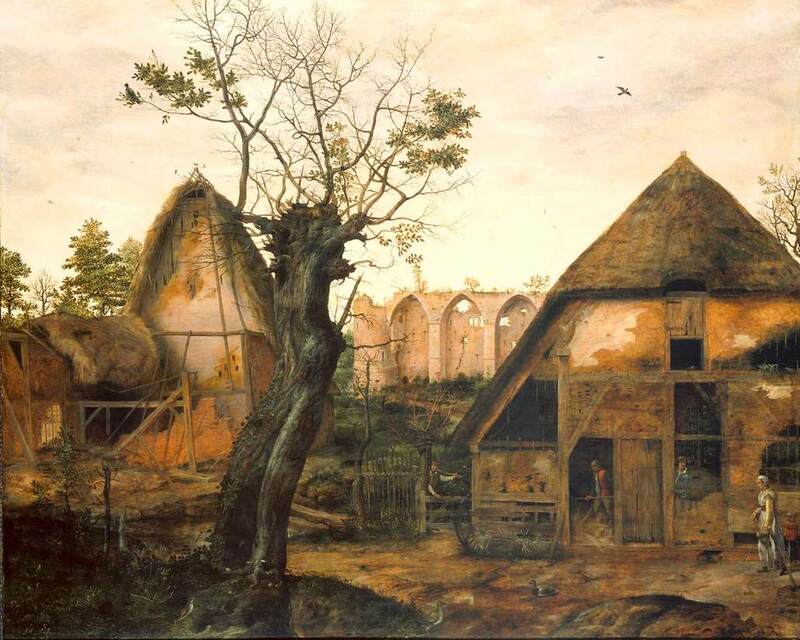 Title: Visit to the farmhouse. Reference: Catalog. Alte Pinakothek. Munich. 1999. Bronzino, Agnolo di Cosimo. Italian, Florence 1503 – Florence 1572. Reference: Mentioned by S. Killermann, 1927. Note: With Raffaellino dal Colle. Borders with Lorenzo Zucchetti and Alessandro Allori. Medium: Wool, silk, and silver- and gilt-metal-wrapped thread; 556x450 cm. Reference: Anzelewsky. Dürer. Berlin-O. 1971. Mittlestädt. Albrecht Dürer. Berlin-O. 1986. Herder. Lexicon der Kunst, Vol. 4. Freiburg, ca. 1985. Reference: Lippmann, F. Zeichnungen vonA. Durer in Nachbildungen. No. 912. Berlin. 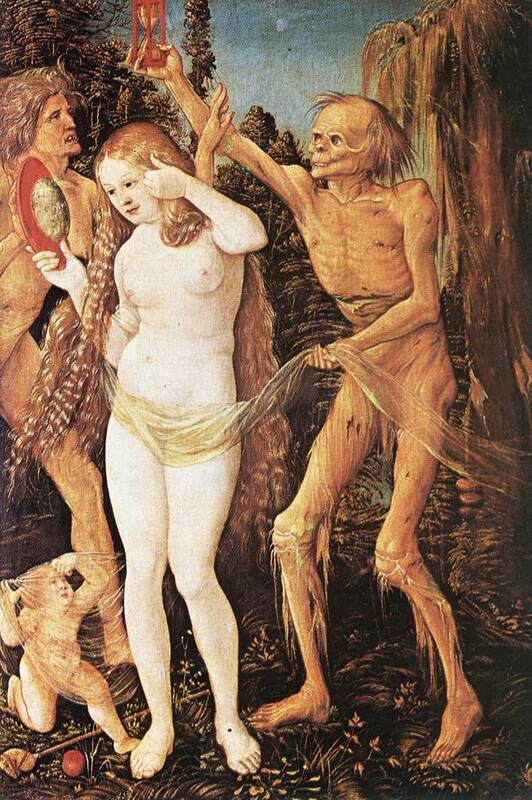 Winkler F. Albrecht Durer: Leben und Werk. No. 632. Berlin: Freitag. 1957. Title: The Trial of St. Anthony (Versuchung des Heiligen Antonius) Isenheim Altarpiece, 1512?-1515? Reference: Fraenger. Matthias Grünewald. 1983. Mittelstädt. Matthias Grünewald. Berlin. 1987. Reference: Wasson, G. and V. Mushrooms, Russia, and History. New York: Pantheon Books. 1957. Clavell, Prado-Museum Spanische Kunst. Barcelona. 1991. Medium: Oil on canvas, 136.5x186 cm. Reference: Magnificenza! The Medici, Michaelangelo, and the Art of Late Renaissance Florence. p.139. Yale University Press. 2002.